World War, 1939-1945; Naval operations, Japanese. Midway, the most famous naval battle in American history, has been the subject of many excellent books. However, none satisfactorily explain why the Japanese lost that battle, given their overwhelming advantage in firepower. 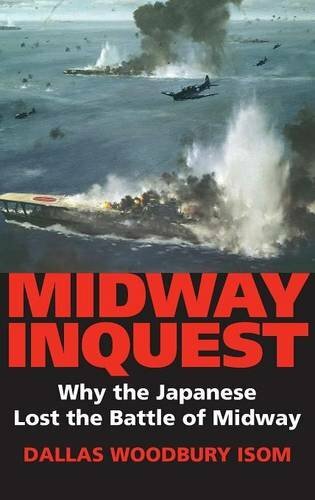 While no book may ever silence debate on the subject, Midway Inquest answers the central mystery of the battle. Why could the Japanese not get a bomber strike launched against the American carrier force before being attacked and destroyed by American dive bombers from the Enterprise and Yorktown? Although it is well known that the Japanese were unable to launch an immediate attack because their aircraft were in the process of changing armament, why wasnÃ¢ÂÂt the rearming operation reversed and an attack launched before the American planes arrived? Based on extensive research in Japanese primary records, Japanese literature on the battle, and interviews with over two dozen Japanese veterans from the carrier air groups, this book solves the mystery at last. About: Midway, the most famous naval battle in American history, has been the subject of many excellent books.